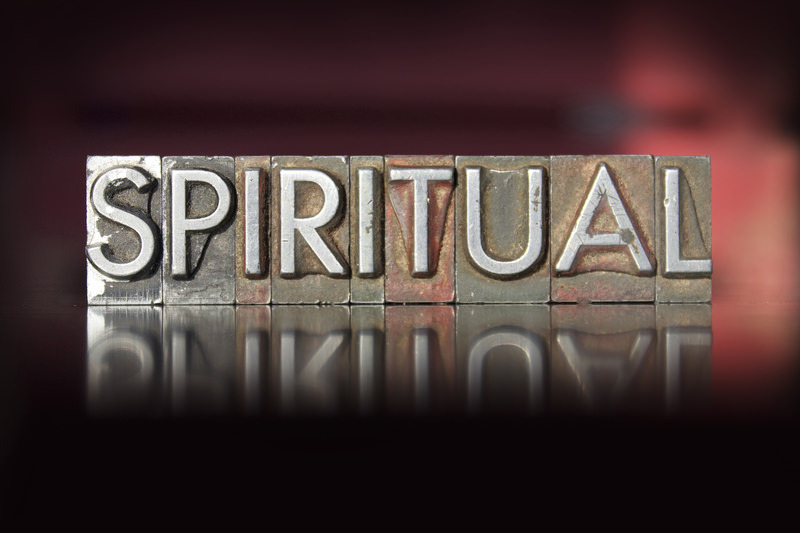 What Is Meant by “Spiritual”? How Can Spiritual Assets Facilitate Community Building? What Conditions Are Most Favorable for the Expression of Spiritual Assets? Spiritual qualities, such as compassion and justice, are often directly connected with the work of community building. In this chapter, we hope to examine those qualities, or assets, to show how they have been used in practice, and how you can use them for greater effectiveness in your own community-building work. “Spirituality” refers to the qualities that inspire us to do what is right and good – for ourselves and for others. This chapter is about those qualities—and their application in one’s personal, professional, and community life. Rationale. As many users know, a main goal of the Community Tool Box is to help all of us become more effective in our community work, leading to more benefits and better outcomes for people. To do so, most sections in the Tool Box deal with what might be called practical skills or techniques, with guidance for specific action steps one might take in doing the work of community building. Examples are found throughout our Table of Contents – assessing needs, forming plans, training volunteers, evaluating results, just to mention a few. And those skills, broadly defined – those actions and tasks – are essential to the work of community building. To build strong communities – to build most anything else: a house, a program, a change in policy – requires taking specific actions in the world. The role of personal qualities. Community action requires not just skill, but a person using the skill. Community effectiveness also depends on what the actor brings to the situation: the inner dimension of community change. What are some examples of those qualities? They might be expressed in the enthusiasm the person conveys, or through a warm and supportive comment, or by a willingness to shrug off a temporary setback, or by extending oneself to offer a particularly thoughtful kindness. These are not skills, in the same way that writing a funding proposal or forming a coalition is a skill. The focus here is more on the “spirit” of the actor or change agent – the spirit one brings, for example, to encouraging others to participate, or advocating for a cause. It goes beyond technique, seeming to come from within. It may at first seem intangible, but that doesn’t mean we shouldn’t try to understand, capture, and utilize it. For such spirit is nevertheless present, and it can have a powerful impact upon the work. And that is our focus in this Tool Box section and chapter. In this chapter, our aim is to emphasize a certain subset of qualities or assets, and to explore their relationship to community building. Here we give them the label of “spiritual” assets, and we emphasize them because we think they are among the most important for community building. “Spiritual assets” refer to qualities that enable us to do what is right and good – for ourselves and for others. It can be seen in what we say and do – our acts of compassion, mercy, justice, and other similar ways of being in world. And we will devote separate Tool Box sections, which follow this Overview, to each of these. First, to clarify, and to provide a working definition, of what we mean by spiritual assets. To indicate some general challenges, issues, and questions that may occur in applying spiritual assets in practice. And finally, to introduce the remaining sections in the chapter, each of which considers a particular spiritual asset and how it might be used in one’s own community building work. Spiritual assets, such as compassion and forgiveness, are widely valued qualities found in every culture and community. Although acknowledged in virtually every religious tradition, they are not the province of a particular religion, denomination, or sect. They can be seen in people who do – and do not – believe in a higher power or God. “Spirituality” refers to the qualities that inspire us to do what is right and good – for ourselves and for others. 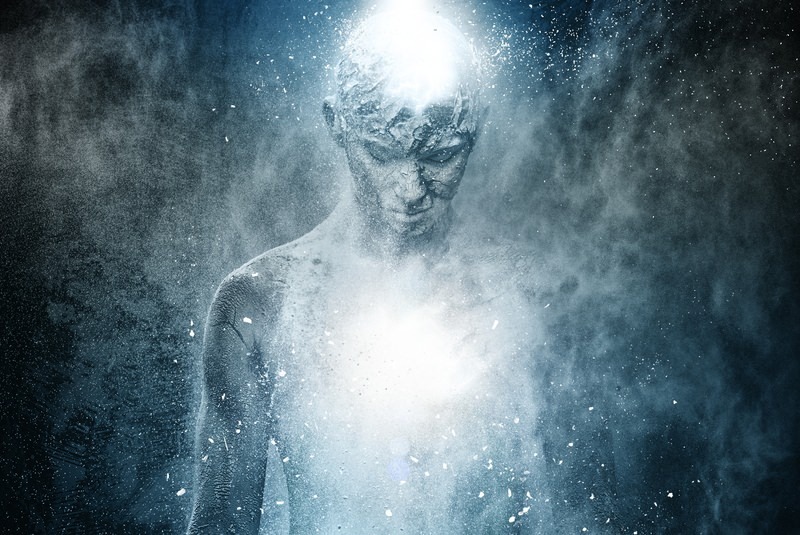 It may involve experiencing those larger forces, especially the connections we have with other beings and our interrelatedness with them. And it also involves applying those qualities in one’s personal, professional, and community life. Our intent is simply to show how spiritual assets can be used in community building to create more desired outcomes and a better world. We want to highlight the potential value of applying spiritual assets, and offer some suggestions for use of those assets in community building work. We respect the role that many different wisdom traditions have in fostering spirituality, but our primary aim here is the practical task of community building. To reiterate the main point of this chapter and section, we believe that certain personal qualities of the change agent or actor – what we call here spiritual assets – can lead to more effective community building and community life in general. Why might this be so? It seems plausible that certain types of spiritual assets would facilitate community building more than others. Consider the person who finds it hard to perceive the distress or suffering of others; or who perceives it but is indifferent to it; or who may feel pity about others’ distress but for one reason or another does not act to relieve it. That will not facilitate community building. Similarly, someone one who is insensitive to the feelings of others, or who finds it difficult to form relationships with others, or to trust others; who dislikes or castigates certain groups of people – those kinds of qualities, when prevalent in the larger group, will also make it more difficult to build strong communities. Conversely, when community members are aware of the needs, beliefs, and emotions of others; when they take pleasure in their interactions with them; when they are disposed to seek out and value connections with others; when they feel common bonds with them and are motivated to maintain them – those personal qualities – call them spiritual assets – are likely to facilitate community building. Appreciation (Gratitude). When you walk outside in your neighborhood or community, and make contact with those passing by (even with people you hardly know, or don’t know at all), that conveys acknowledgement and appreciation of the other person. You might simply smile or wave hello, and what you say or do might take scarcely a second. But even those small encounters, multiplied over people and time, create a sense of belonging and of being respected; they add up; they have a cumulative effect. If you meet someone you do know, you might chat for a moment, and if it’s appropriate take the opportunity to compliment them on some accomplishment, or express happiness over a fortunate event, or wish them well in a new school, a new job, or for a growing family. All of these small actions also show appreciation and caring. They add up as well. Each of these statements reflects the spiritual assets of tolerance and acceptance, perhaps others as well. A community’s philosophy and guiding values might also be transmitted in its policies and procedures, in its logos and visual portrayals, in its hiring practices, in its orientation and training of employees, and in the daily programs it operates. With repeated exposure, these expressions may come to affect the well-being of community members, whether directly or indirectly. They become woven into the community’s culture, which gradually but perceptibly may begin to influence residents and their behavior. When spiritual assets such as appreciation and tolerance are expressed, they may not only have value in themselves; they may also be a model or example for others in how to behave in a way that is valued by the community. They tend to spread. Greeting one’s neighbor may encourage that neighbor to greet others in turn. Promoting community tolerance may lead to more actual expressions of tolerance, which may result in better relationships among those involved. Those effects may not always happen, and they may be small, but they accumulate over time. Are these examples of spiritual assets? We believe they are. They are consistent with the working definition we proposed earlier in this section. They illustrate concern for our relationships with other people, and for our connections with other groups, both of which we see as fundamental to healthy communities. They are also, we believe, attuned to the larger forces guiding community life. But does this make them spiritual? What is spiritual about them? You may choose to label these assets “values” or “virtues,” or simply “qualities,” or something else altogether. But while we are comfortable with the term “spiritual,” the key point is not the labels given. The key point instead is that these assets, by whatever name is given to them, have significant and positive effects upon community life, and so should be cultivated and nurtured in community situations when possible. When a disaster or adverse community event has occurred. This might be a disease outbreak or a weather or environmental event such as a fire, explosion, hurricane, or toxic spill. Or it could be an event initiated by community members, such as violence committed upon another person. When a clear injustice has been committed, such as overt discrimination, hate crime, or obvious violation of basic human rights. When prevailing attitudes in the community are pessimistic or cynical, or even despairing or hopeless, and when such attitudes prevent or impede corrective action. When spiritual leadership in the community appears weak or absent. Much of the time such leadership exists in a community, and is widely known and on display. But if that’s not the case, and when a spiritual vacuum seems to exist, it may be time for other community members to rise to the occasion. Perhaps, on reflection, you can add other conditions to this list. The spiritual qualities we have been discussing can be utilized and applied on multiple levels – among individuals and families, small groups and organizations, neighborhoods and villages, and full communities and societies. Expressions at all levels are valuable and can be encouraged, for each reinforces the other. Compassion is one example: This spiritual asset can be expressed on an individual level, multiplied by many people, many occasions, and many time frames. When this is so, it can gradually affect the nature of the community and its quality of community life. A community that engages in more behaviors related to compassion is more likely to affect all those living within it – the community actions set standards or norms that individual residents tend to follow. A community culture of caring for one another is created. 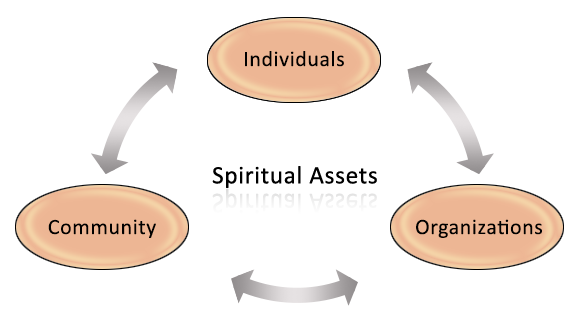 Image of a Spiritual Assets chart with multi-directional arrows and three phases: Individuals, Organizations, and Community. In our discussion, we will give separate attention to spiritual expression on the individual and family, and organizational and community, levels. On an individual and family level. The expression of spiritual qualities on an individual and family level relates to the small interactions and transactions of daily life. Simply living in a family or community setting gives us countless opportunities to act spiritually. And it is possible to take advantage of multiple opportunities that naturally come one’s way. Advocating for justice. Speaking out, instead of remaining silent, when a family or community member’s rights have been violated. Practicing humility. Deflecting attention away from oneself, to the larger issues at hand; making sure proper credit for accomplishment is shared with others. Sharing hospitality. Offering hospitality to a neighbor, an acquaintance, or even a stranger who is in distress or has an obvious need. The relationship between the people involved may be restored or strengthened. A burden of guilt, and sometimes shame, is often lifted from the person who committed the offense. Since negative emotional energy is now released, more energy now becomes available to engage in more socially constructive activities. The person forgiven, having observed forgiveness being modeled by others, may now be more likely to forgive others in turn. Forgiving actions are reciprocated. The person doing the forgiving, having seen the positive results of that action, may also be more likely to forgive in the future. A similar analysis may apply to the expression of other spiritual qualities, especially regarding strengthening relationships and passing it forward. Vision statements. A community organization, or an entire community, can express spiritual qualities through forming and communicating a written vision of what that organization or community should be like, and how we should relate to one another. For example, “Health for All” communicates the values of equity and fairness. Mission statements. The same applies to organizational or community mission statements. For example, “Promoting Inclusive Communities” communicates the spiritual qualities of tolerance and acceptance. Value statements, of what the organization or community regards as most important, written and expressed in everyday practice. For instance, when the stated values of justice, mercy, or reconciliation are expressed within an advocacy, health, or service organization. Evaluation of organizational or community programs, through the measurement of indicators relating to spiritual assets; for instance, the measurement of inequities in health or educational outcomes consistent with the value of justice. Expression in different community sectors and settings. Spiritual assets can be applied within an array of community settings and contexts including in government, education, health care, workplaces, human services, criminal justice, the arts, media, and religious other non-governmental organizations. For each of the spiritual assets described in this chapter, there are many possible applications in daily community life. You will find many of these examples within the different Tool Box sections fin this chapter. But to give some illustrations of what we’re talking about, we offer a few actual examples of use, with each followed by some reflective questions regarding some of the potential issues involved in broader application. * Is that form of welcoming and hospitality valuable for community building? If so, could it be (and should it be) extended to other new-neighbor situations? If so, why isn’t it? What are the barriers? And are there times when this would not be a good practice? Gratitude. A community-building program focuses on the more positive aspects of human nature; one topic in the curriculum is gratitude. As part of the program, the leader holds a “gratitude night,” where each participant is encouraged to bring to the group ca person that he or she feels grateful toward – it could be a parent, partner, friend, community member, anyone at all – and to express that gratitude in front of the full group. In a similar exercise, students in middle or secondary schools are sometimes asked to keep “gratitude diaries,” where they write down the experiences they are grateful for each day. * Are gratitude diaries and gratitude nights good ideas? Should they be extended to the broader community? Both of the above are formal and highly structured activities; are there similar but less formal ways to encourage the expression of gratitude? What might be some smaller ways of expressing gratitude in everyday life? And how could those be more easily become part of the fabric of our society? Being Charitable toward Others. At the market, one customer places a donation for families in need, without knowing who exactly will benefit. The next customer in turn makes a donation, and on down the line. This chain goes on for many people before it is broken. A young person aids an older one in getting across the street. * Are these types of behaviors always to be encouraged? Should we be emphasizing acts of charity, generosity, or kindness that are not random or transitory, but rather focused and consistent? Beyond that, how far should charity properly extend? And how can the limits be properly determined? Justice. A young person commits a potentially criminal offense. Instead of school discipline, court proceedings, or other conventional punishment, the offender appears before a panel or peers, together with the person who was injured; an arrangement to repay or give restitution to the injured person – to make it right – is negotiated, agreed to, and fulfilled. Instead of trial and conviction, or segregation from others, the concept here is to encourage face-to-face exchange between the person who was responsible for the injury and the person harmed. The general intent is to promote some form of reconciliation or healing. * Is this type of justice-seeking morally legitimate, or at least justifiable? And is it effective, in practical terms? And how broadly should this concept be applied -- for example, to other transgressions? What are the limits to this type of approach, if any – both in terms of eligibility for the approach, and of practical application? * Is it possible to develop compassion by an actual training program? Or is compassion a quality that you either have or do not have? Are some people naturally more compassionate than others? Can you teach any person who may not be naturally compassionate to be more so through training? If so, would this be a wise thing to do? The questions following the examples above are not necessarily easy to answer; but we believe to some degree they are inherent in practical application. They raise natural questions about the possible limits of the expression of spiritual assets, limits beyond which one might not reasonably go. Spiritual expression may be desirable on both individual and community levels – and worthy of active encouragement and possibly direct training. But one should also be aware that spiritually-based action is not inevitably successful, and may in the short run have unintended consequences that are not always preferred. The potential for expressing spiritual qualities and assets belongs to everyone. But the degree to which they are actually expressed depends upon one’s background and experiences and environment. In other words, spiritual practice is learned and influenced by the conditions around us. Awareness. It may be that simply presenting examples, stories, or other content relating to spiritual actions creates awareness; and this may gradually or eventually stimulate individual or community action over time. Encouragement. In addition to providing examples and stories, we need prompts and reminders to act in similar ways. Guidelines. Guidance on how to express a spiritual asset, such as mercy or forgiveness, can help establish behaviors consistent with the spiritual quality. Such guidelines can be given in print, through visual depiction, or face-to-face, and can be part of varied educational programs or feedback from those who care about us. Models. Modeling, or showing how it is done, is powerful; especially models who experience positive consequences, such as praise or acknowledgment, for having done so. Mass and social media may be especially helpful in bringing models of applying spiritual assets to the broader community. Reinforcement for spiritual practices. Modeling is most effective when it is followed by positive consequences. When an act of compassion is criticized, or the recipient is portrayed as undeserving, it will not be sustained. 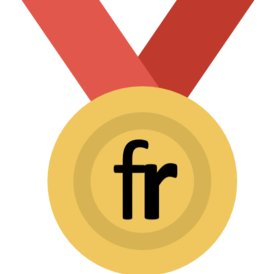 Reinforcement matters, whether it is given by others or self-delivered. For expressions of spiritual assets to be maintained, they need to be reinforced. Training. An additional step for developing spiritual assets is to provide direct training and instruction in when, why, and how to engage in the spiritual behavior in question. This could include detailed examples, stories, case studies, practice exercises, real-world practice occasions, and discussion opportunities. This type of training could be brought together into a curriculum or shared on the web, similar to the sections of this chapter of the Community Tool Box. We clearly value the spiritual assets we have been discussing, and see many opportunities and areas for their use in community building. Yet, we know that such application is not always apparent or easy. What are some of these challenges, issues, and ethical questions in applying spiritual assets, and how they can they be addressed? 1. Desire and readiness. If one is to be forgiving, one must have the desire to forgive. If one is it to be patient, one must be motivated to act patiently. Without this readiness, a learned behavior is less likely to occur. But sometimes that desire may be hard to summon – for sometimes the expression of spiritual assets may seem to conflict with our natural tendencies, or to go against the grain of established patterns and cultural practices. If it were a matter of an ordinary, routine community action – such as sending a reminder about an upcoming meeting, or welcoming new group members – those actions might seem easier or more natural. But spiritual actions may involve a different and deeper part of the self, one that must first be engaged. It may seem easier to blame than to forgive, or to respond to a hurtful action in kind. It may seem easier to act rather than wait, even though patient waiting might produce the better outcome. For application to occur, the desire to engage in spiritual action must come to outweigh competing tendencies to act in different or contradictory ways, or not to act at all. 2. Conversion into action. Once sufficient desire or readiness to express a spiritual quality is present, it must be converted into action. Desire by itself is not sufficient. This is of course true for many behaviors, and surely for community- building behaviors. One may want to show compassion – and realize that one could, and feel that one should – but the actual compassionate action may somehow not get expressed. Injustice may be felt, even deeply felt, but for whatever reason – whether it be shyness, uncertainly, lack of confidence, or fear of criticism or recrimination – that feeling does not translate into action to right the wrong. We know well from self-examination that we don’t always act upon what we see and feeling, and that many of our intentions do not blossom into behavior. If we are to translate desire into spiritual action, some mechanism for conversion is needed, and may need to be developed. 3. Strengthening spiritual habits. When one acts in a spiritual manner consistent with our definition -- when one acts forgivingly, compassionately, or patiently, or when one shows gratitude, or rights an injustice – those types of behaviors must be repeated and maintained over time. When we speak of applying spiritual assets, our hope is for application not just once, but over multiple occasions. The desired spiritual behaviors, like many other desired behaviors, must become habitual or likely to occur when the situation calls for it. 4. Time and effort. Spiritual actions often take time and particular effort, especially when they have not yet become habitual. If you aspire to be more patient, you may need to restrain an insistent urge to take action. If you want to extend your hospitality, you may need to give up some personal time you were looking forward to. If you are acting for a just cause, you may need to prepare yourself for indifference, criticism, or retribution. Even though we are well-intentioned and capable, to act upon and express a spiritual asset may mean changing and elevating our ordinary behavior, and may call for some extra effort – time and work that we are not always able, or willing, to give. 5. Spiritual fatigue. A related point: Performing spiritual actions, over time, can be fatiguing – physically, or emotionally, or both – especially if such actions have not been well established. It is one thing to be hopeful, and communicate hope to others; it is another thing when your hopes are dashed time and time again. You may manage to be forgiving today; but can (or should) you sustain forgiveness when others’ hurtful behavior continues to occur? Repeated expressions of any spiritual asset can be tiring, and easily deplete our spiritual reserves. We may not have the personal capacity to extend endless benevolence to all who need it, ask for it, or deserve it. 6. Spiritual numbing. Alternatively, and perhaps worse, we might become spiritually numb. We may feel overloaded by all the need and distress in the world, knowing that we can’t react to it adequately and fully. To protect ourselves, we may filter and block out this distress, become desensitized to it, and respond weakly if at all. We may then choose to withdraw at least for a while, so that we can be renewed. 7. Competition. And even if spiritual fatigue or numbing never occurs, competition from other activities may. Spiritual actions may compete with other actions we are called upon to take – our obligations to family, friends, or work, or other groups we belong to. Our acts of compassion or mercy toward others can take away from caring for family. Not all needs and requests, even the worthiest, can receive the attention we might like to give them. We must prioritize. 8. Ethical issues. The challenges and issues we have noted so far in converting spiritual assets into action have been essentially practical. But ethical, or moral, issues may arise as well. One prominent ethical issues relating to spiritual conduct is the deservingness of the recipient. That is, are all recipients equally deserving? Is one who behaves badly equally deserving of forgiveness, or hospitality, or compassion? And in particularly horrific cases – physical abuse or murder, for instance – is forgiveness still justified, or justifiable? In a different scenario, even if everyone were equally “good,” would they then have equal claim to the benefits of spiritual actions? Or would some be more deserving than others? Which persons, and by what criteria? Such ethical questions are much easier to state than to answer. We raise them because they are important and inescapable in most discussions of spiritual action, and worthy of further consideration by all would attempt to infuse spiritual assets into the work of community building. 9. Special challenges for organization and communities: Establishing proper structures. Finally, the discussion under this heading has focused on the spiritual behavior of individuals. But some challenges and issues for spiritual behavior also exist in organizations, and communities, and at other broader levels. One particular challenge that commonly arises, especially in larger organizations and communities, in sustaining spiritual expression over time. Sustainability certainly applies to individuals too, but may apply even more at broader levels, because the management of the organization—or the leadership of the community—frequently changes faster than the people within it. Values may change, polices may shift, and institutional memory may fade. What will be helpful in this case is the establishment of a clear and transparent structure to guide and support the expression of spiritual assets for that larger group. Such a structure might take the form of a separate committee or institution, such as a human rights commission or peace and justice coalition. It may also be represented in organizational policies that prohibit discrimination or assure time for service to others. Or, it may be evidenced in orientation and training sessions, periodic reviews, communications to staff or public officials, or some combination of these. Whatever the structures are, they must be agreed to, well-known, and continually nurtured and supported through generations of leadership. The structure can then become part of the organizational and community culture, its DNA. To use a long but powerful 17-letter word, it becomes institutionalized. It is then more likely to become a permanent feature of what the organization and community is and does. The challenges and issues we have cited we feel are largely inherent in spiritual life, and in community life as well. To summon needed desire, to strengthen spiritual habits, to sustain the effort, to avoid spiritual fatigue, these challenges are all ongoing. We cannot resolve them fully and forever, any more than one satisfying meal solves the problem of needing to eat. That is the nature of the community-building process. Yet, with repeated exploration and practice, we can become more skilled at expressing our spiritual assets, just as our communities can become more able to benefit from them. This gives us much room for hope, a spiritual asset in itself. The other sections in this chapter are designed to facilitate your own exploration of different spiritual assets. As you read them, we hope that this guidance is useful and nurturing for you. In the meantime, as always, we wish you every success in assuring spiritual assets for the important work of community building.